The president instructed relevant offices accordingly. President Petro Poroshenko has instructed the Foreign Ministry, the Defence Ministry and the State Emergencies Service to urgently request NATO assistance to humanitarian mine clearance in Balakliya, Kharkiv Region. 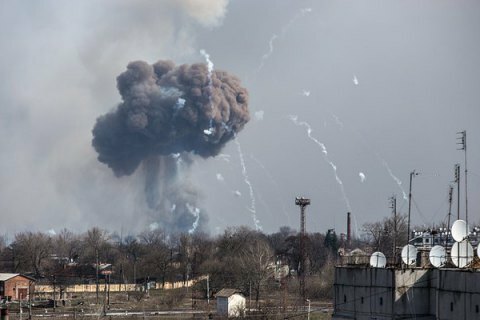 A fire broke out on the territory of Ukraine's largest arms depot in Balakliya, Kharkiv Region last night. It caused the detonation of 125-mm tank shells and 152-mm artillery shells. Military prosecutors suspect this was an act of sabotage. Around 20,000 people were evacuated from Balakliya and neighbouring villages.